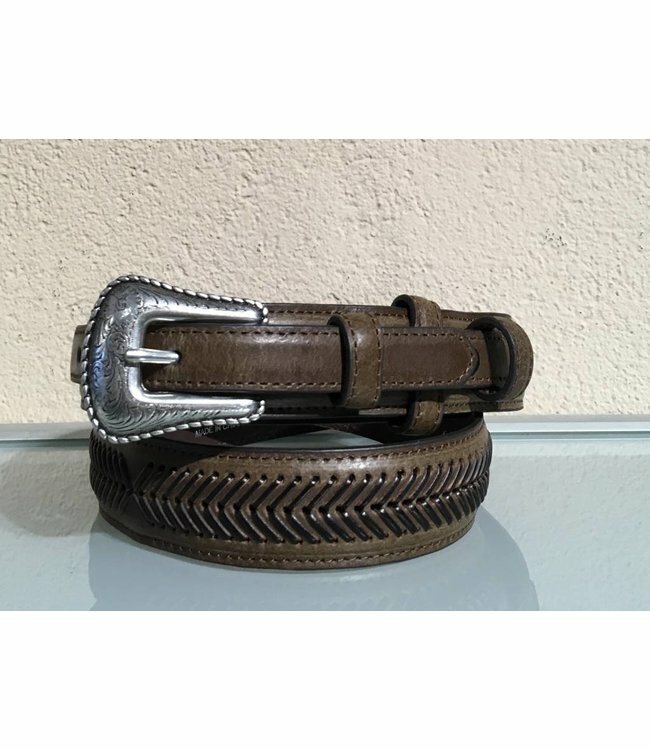 Brown leather belt with motifs in different metal studs by Nocona. The belt has a detachable dark metal buckle that's easy to change. Add a little boldness to your outfit with this American belt!. Read more.. This sturdy brown leather belt has motifs formed by various shapes of metal studs. 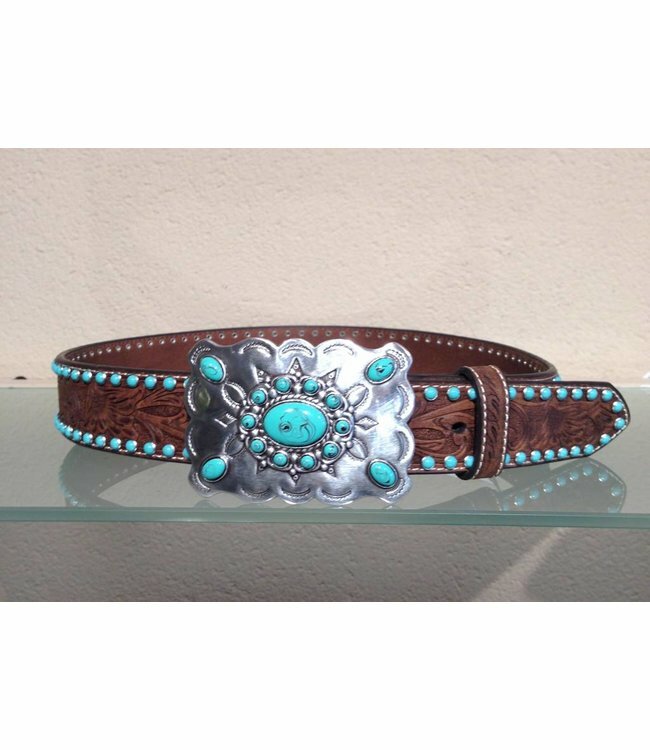 A special belt from the collection of Nocona Belt from Texas. The dark metal buckle can easily be exchanged for another buckle due to the snap button system. Give your outfit an American touch! The width of the belt is 4 cm. 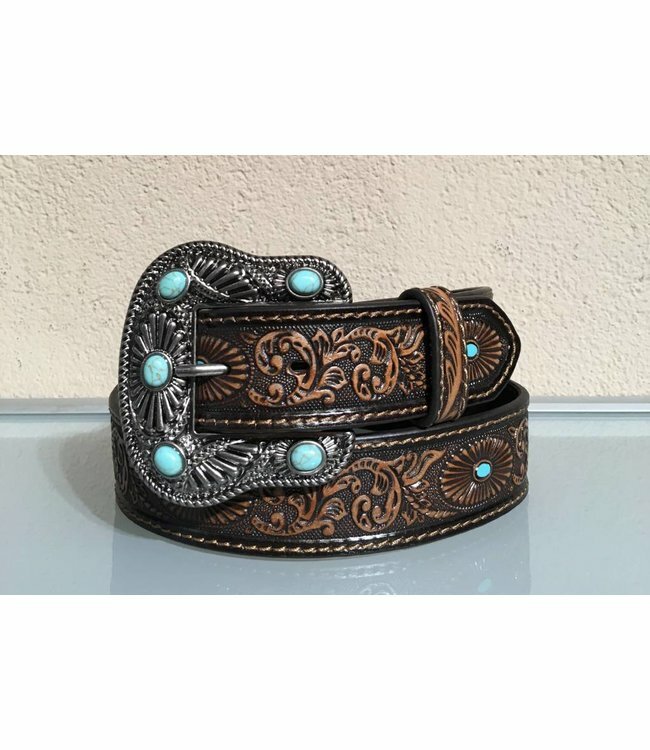 Handmade brown leather belt with woven details by Nocona. 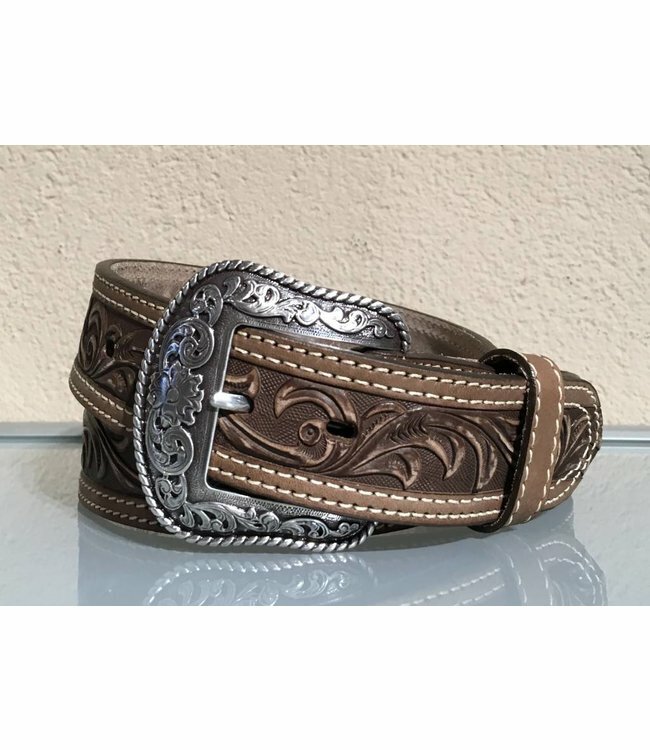 T..
Taupe leather belt tooled in a leaf motif and a metal buckle..